I remember my first prayer book well. It was wrapped in blue wallpaper bearing a picture of an open Siddur drawn with a silver marker. My Siddur was obviously not wrapped in the kind of fancy wrappers used today, but I can recall the moment I received my Siddur like it was yesterday. It was on a Tuesday. We were all there; Mom, Dad, Grandma and Grandpa, watching that cute little boy standing on stage receiving his first Siddur from the principal of his school. He was my eldest son. A chill ran down my back as the principal’s words pierced through me. What wouldn’t we do to feel that initial excitement every time we open up a prayer book? 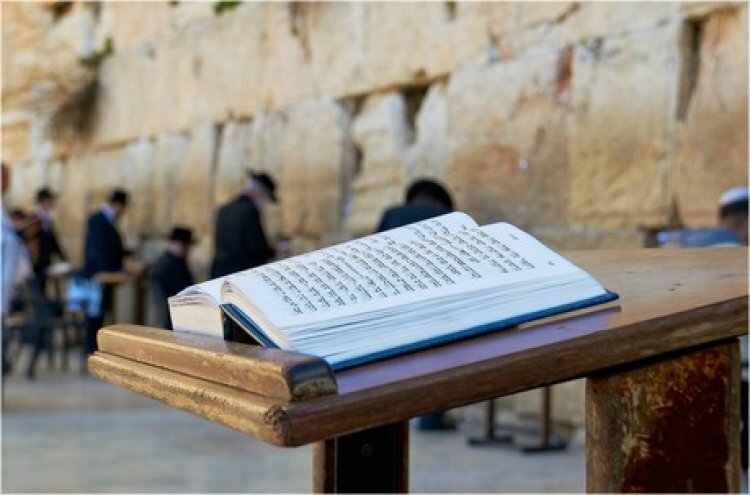 As I stretched out my arms towards the little boy who was running with great speed in my direction, ‘I have a lot to pray for’, I thought to myself, as his face radiated while hugging his Siddur with pride. I stared at him and saw that innocence, that pure and beautiful love. From the place in which I am now sitting; not as a child receiving her Siddur for the very first time, rather, as a mother of a child in that same position, I can only hope and pray with warm tears, that this excitement will always accompany him with good things for the rest of his life. Dedicated to all the mothers who have embraced their children with their first Siddur.